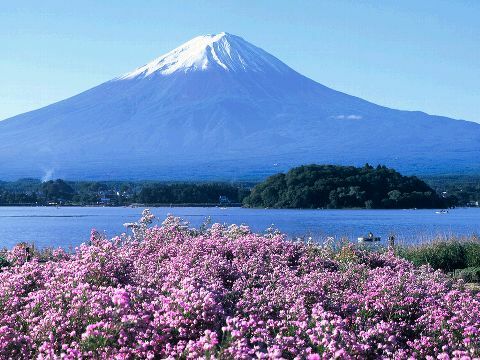 Mount Fuji, an active volcano located in Honshu, Japan, is easily one of the most recognizable land masses in the world. It last erupted in 1707, and could do so again at any moment. 😀 It overlooks the scenic Lake Kawaguchi, and is surrounded on all sides by the Haunted Forest. Very pretty.